A recent survey on the future of network appliances indicates that 100G will be the dominant speed rate in core, metro and access in 2018. How can we ensure that NFV is ready for this challenge? Great strides have been made over the last three years in proving the viability of Network Functions Virtualization (NFV). Dozens of Proof of Concept (PoC) trials have proven that workloads can be migrated to virtual environments running on standard hardware, and there are even examples of carrier deployments using NFV. This is all thanks to the work of visionary carriers and vendors who recognize the need for a drastic change in how carriers do business if they are to survive and thrive in the future. Thanks to this effort, the issue is no longer whether NFV will work; the issue is how we can make NFV work effectively so it will deliver on its promise. The issue is no longer whether a service can be deployed using NFV, but whether we can manage and secure that service in an NFV environment. In other words, the challenge now is to operationalize NFV. Managing and securing services requires network appliances that can monitor and analyze network behavior. A recent survey by Heavy Reading on behalf of Napatech provides insight into how network appliances are being used today, progress on migrating network appliances to virtual environments and insight into the challenges that need to be addressed to ensure the success of this migration. In “The Future of Network Appliances,” 47 percent of respondents considered network appliances for network management and security as essential, while a further 39 percent considered them valuable, reflecting a broad appreciation for the operational value of appliances. Survey responses also show that network management and security appliances are broadly deployed, especially for applications like network and application performance monitoring, test and measurement as well as firewalls, intrusion detection and prevention, and data loss prevention. Nevertheless, the survey also showed progress in migrating network appliances to virtual environments, especially for the most widely deployed applications. 73 percent of carriers indicated that they intend to deploy virtualized appliances over the next two years. Network equipment vendors are responding, with 71 percent indicating that they intend to deliver virtualized appliances in the same time frame. The top three challenges that respondents could see in delivering and deploying virtualized appliances were interworking with other vendor solutions (81 percent concerned or extremely concerned), security (79 percent) and throughput (80 percent). But the most eye-opening challenge that the survey highlighted must be the extensive deployment of 100G network data rates in not just the core but also the metro and, most surprisingly of all, the access network. Survey respondents were asked to indicate the most common planned data rate for the core, metro and access networks in 2018. The responses showed that 75 percent of respondents planned for 100G as their most common data rate in the core and 71 percent planned to use 100G in the metro, while 58 percent planned to use 100G in the access network. This will potentially prove to be the greatest challenge in virtualizing network appliances over the next three years. The first 100G physical network appliances are just now being introduced to the market. They are based on standard servers, as the majority of physical network appliances are today. However, they rely on high-performance network interface cards capable of providing the throughput required at these data rates. Standard Network Interface Cards (NICs) cannot provide the performance required for these kinds of applications even at data rates of 10G. Recent benchmark testing of NFV solutions which are based on standard NICs have shown that there are serious performance challenges in using these kinds of products for high-speed applications even when using Data Plane Development Kit (DPDK) acceleration. Solutions based on bypassing hypervisors, such as Single-Root Input/Output Virtualization (SR-IOV), provide some relief, but come at the expense of virtual function mobility and flexibility. Network management and security solutions are essential to the successful operation of virtualized networks and will need to be able to operate at 100G data rates within the next three years. One should therefore expect a reassessment of the need for alternative NIC solutions in NFV deployments. These need not be focused solely on network management and security virtualized applications, as the performance issues faced by these applications are similar to those that will be faced by other virtual appliances at high data rates. This technical challenge has already been solved in the physical world. Now it is merely a question of migrating these solutions to the virtualized environment to make sure that NFV is not only deployable but also operational, even at speeds of 100G. Daniel Joseph Barry is VP Positioning and Chief Evangelist at Napatech and has over 20 years experience in the IT and Telecom industry. Prior to joining Napatech in 2009, Dan Joe was Marketing Director at TPACK, a leading supplier of transport chip solutions to the Telecom sector. From 2001 to 2005, he was Director of Sales and Business Development at optical component vendor NKT Integration (now Ignis Photonyx) following various positions in product development, business development and product management at Ericsson. Dan Joe joined Ericsson in 1995 from a position in the R&D department of Jutland Telecom (now TDC). He has an MBA and a BSc degree in Electronic Engineering from Trinity College Dublin. Nokia Networks, Deutsche Telekom and Cosmote (Deutsche Telekom’s subsidiary in Greece and leading network operator in the country) have demonstrated a world-first: LTE-Advanced 3 carrier aggregation combining LTE-FDD in band 3 (1.8 GHz) with LTE-TDD in band 42 (3.5 GHz). The showcase, completed with the commercially available Nokia Flexi Multiradio 10 Base Station, confirms the ability of 3.5 GHz LTE-TDD technology to increase mobile broadband capacity and improve the consumer experience. 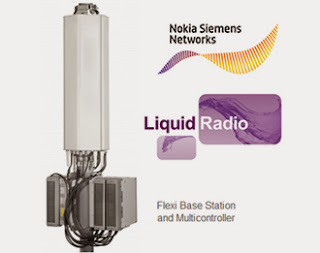 The demonstration used the Nokia Single RAN Advanced platform, including the Nokia Flexi Multiradio 10 Base Station for both LTE-FDD and -TDD technologies, with its high-capacity TD-LTE-Advanced 8-pipe radio. “Deutsche Telekom is a real innovation leader. Hand in hand with our NatCos we are shaping the local markets, especially in LTE. Spectrum plays a fundamental role for mobile communications as we look to exploit opportunities to meet the growing demand for network capacity. The demonstration of FDD-TDD 3 carrier aggregation together with our partners, sets a benchmark for a completely new combination of technologies including the increasingly recognized band 42 which will be expected to be a mainstream TDD band," Rachid El Hattachi, SVP Technology Architecture & Blueprints, Deutsche Telekom. Microsemi Corporation and PMC-Sierra entered into a definitive agreement under which Microsemi will acquire PMC for $9.22 in cash and 0.0771 of a share of Microsemi common stock for each share of PMC common stock through an exchange offer. 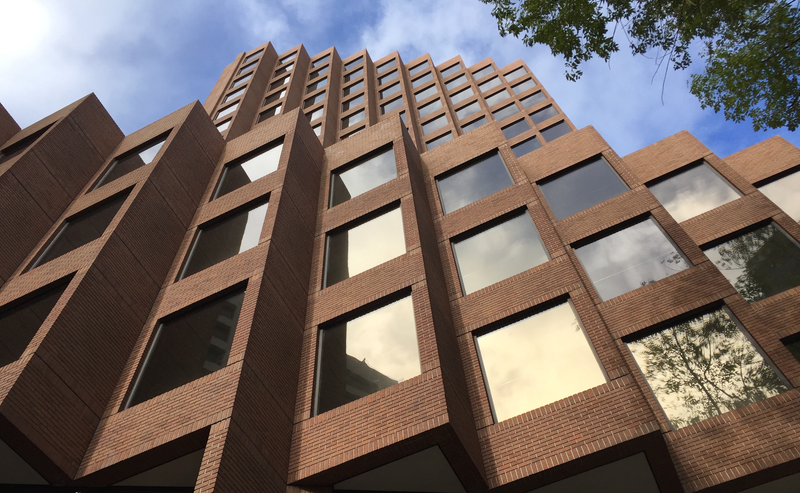 The transaction is valued at approximately $2.5 billion and represents a 77.4 percent percent premium to the closing price of PMC's stock as of Sept. 30, 2015. "We are pleased PMC has accepted our compelling strategic offer, which clearly benefits shareholders of both Microsemi and PMC. We can now shift our focus to realizing the significant synergies identified during our comprehensive analysis," said James J. Peterson, Microsemi's chairman and CEO. "As we have previously stated, this acquisition will provide Microsemi with a leading position in high performance and scalable storage solutions, while also adding a complementary portfolio of high-value communications products." The transaction is expected to be immediately accretive to Microsemi's non-GAAP EPS and free cash flow. 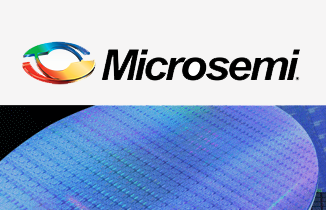 Microsemi anticipates achieving more than $100 million in annual cost synergies with greater than $75 million of those expected to be realized in the first full quarter of combined operations. Microsemi currently estimates approximately $0.60 of non-GAAP EPS accretion in the first full year after closing the transaction. Terms of the agreement were approved by the boards of directors of both Microsemi and PMC. Skyworks Solutions confirmed that PMC has terminated its acquisition agreement and, as a result, Skyworks is entitled to an $88.5 million termination fee from PMC. Hewlett Packard Enterprise reported fiscal 2015 fourth quarter revenue of $14.1 billion, down 4% year over year, or up 3% in constant currency. This is the second consecutive quarter of year over year, constant currency revenue growth for the Hewlett Packard Enterprise segments. Enterprise Group revenue was $7.4 billion, up 2% year over year, up 9% in constant currency, with a 14.0% operating margin. Industry Standard Servers revenue was up 5%, up 13% in constant currency, Storage revenue was down 7%, flat in constant currency, Business Critical Systems revenue was down 8%, down 2% in constant currency, Networking revenue was up 35%, up 43% in constant currency, and Technology Services revenue was down 11%, down 4% in constant currency. Enterprise Services revenue was $5.0 billion, down 9% year over year, down 2% in constant currency, with an 8.2% operating margin. Infrastructure Technology Outsourcing revenue was down 11%, down 4% in constant currency, and Application and Business Services revenue was down 5%, up 1% in constant currency. Software revenue was $958 million, down 7% year over year, down 2% in constant currency, with a 30.1% operating margin. License revenue was down 6%, down 2% in constant currency, support revenue was down 9%, down 4% in constant currency, professional services revenue was down 3%, up 4% in constant currency, and software-as-a-service (SaaS) revenue was down 2%, down 2% in constant currency. HP Financial Services revenue was $802 million, down 11% year over year, down 4% in constant currency with a 2% increase in net portfolio assets and a 4% decrease in financing volume. The business delivered an operating margin of 10.8%. 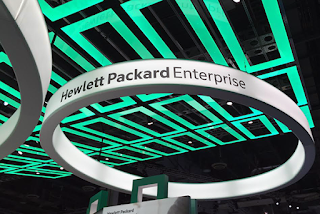 "Hewlett Packard Enterprise is off to a very strong start," said Meg Whitman, president and chief executive officer, Hewlett Packard Enterprise. "The new company's business segments delivered a second consecutive quarter of constant currency revenue growth in Q4, and we believe that momentum will accelerate into FY16." 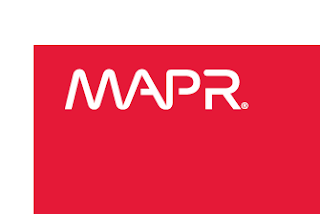 Macquarie Telecom, Australia’s leading managed hosting and business-only telecommunications company, has deployed the MapR data platform to help secure the communications of the Australian government. Macquarie Telecom’s Government Division today secures telecommunications for 42% of government agencies in Australia. The company provides government employees with a secure Internet gateway, so they can safely access external public websites, downloads, and email services.